When I was younger, I was obsessed with Disney movies. Honestly, that obsession never stopped because I still love to watch them, especially if the movie is centered around a princess. My two favorite princess movies are Aladdin and Rapunzel. I love princess Jasmine, and I don’t care if she’s a fictional character. She’s so pretty, and her hair is thick and super dark, which is a lot like mine. That’s another reason why I love her so much. I also love Rapunzel because of her hair, obviously! She’s hair goals, need I say more? I’m always trying to get my hair to grow longer, and I wish Rapunzel would give me a couple inches of her hair. She can give it up! She wouldn’t even notice if it was gone. Every time I watch Rapunzel and I look at her hair, I think to myself, no one could ever grow their hair out that long. It seems like it would be impossible. How could she even take care of it? There are so many people on this earth that there’s bound to be someone who can prove me wrong. 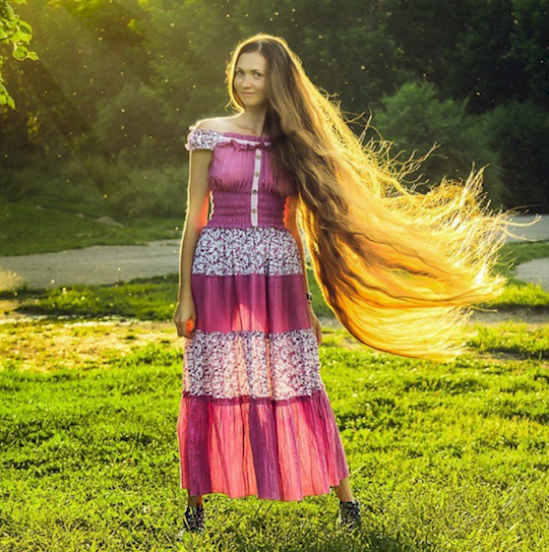 Dashik Gubanova from Russia is a real-life Rapunzel. 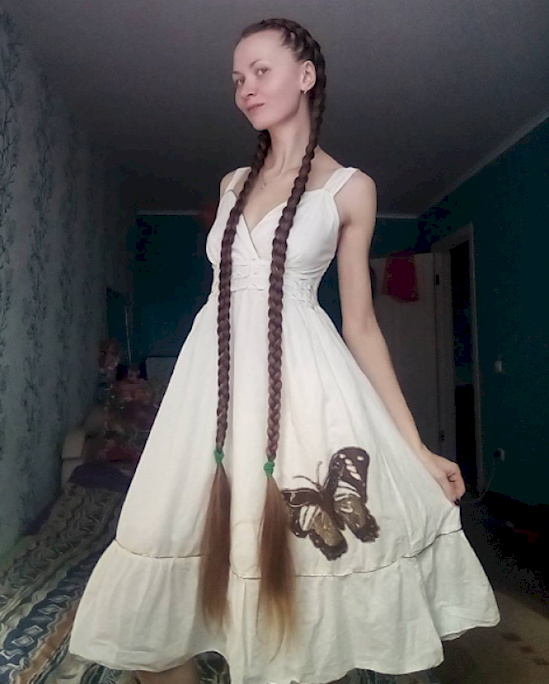 Although her hair might not be as long as Rapunzel’s, it’s still pretty darn long. Her hair reaches down to her calves and it looks glorious. She hasn’t got a haircut in over 13 years! That’s insane! I only go once a year, and people are shocked when they hear that. 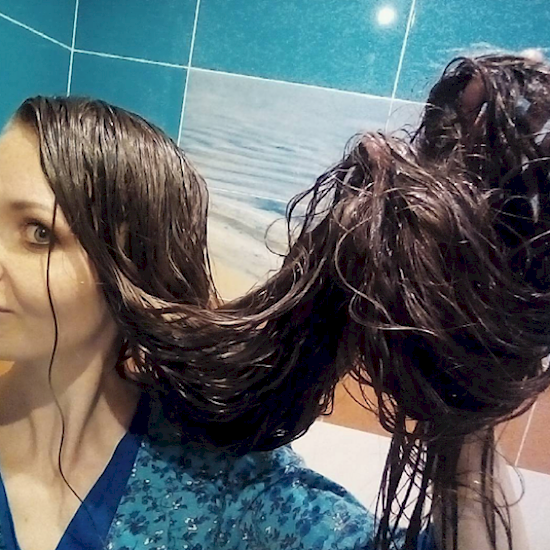 If I had hair like hers, washing it would be like a chore! 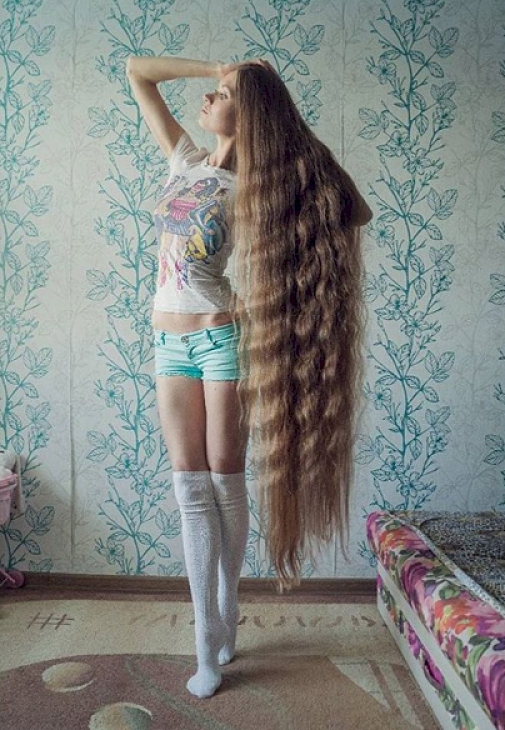 I can’t imagine how long it took her to shampoo it, and then drying it would probably take hours. Her daughter is following into her mother’s footsteps. 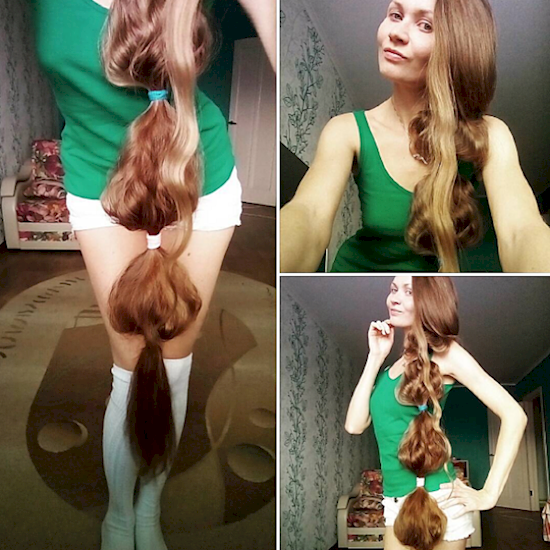 Look how long her hair is! She’s going to be a mini Rapunzel. This Dutch braid is gorgeous. 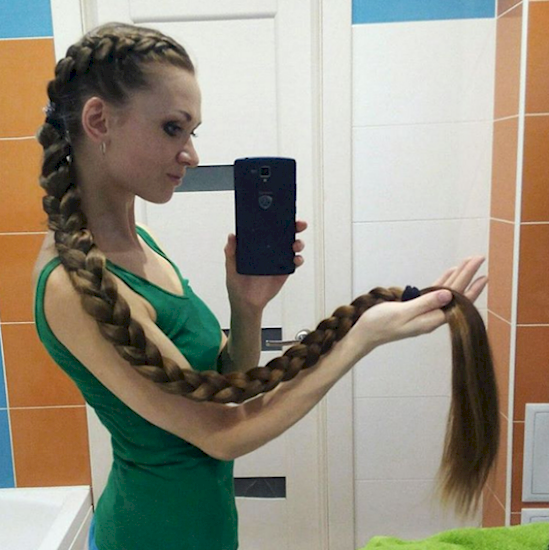 My arms would be killing me, though, if I was braiding my hair and it was that long. I would definitely need to take a few breaks. When I braid my hair, I need to brush out all the knots, first. If I don’t, it’s a disaster. 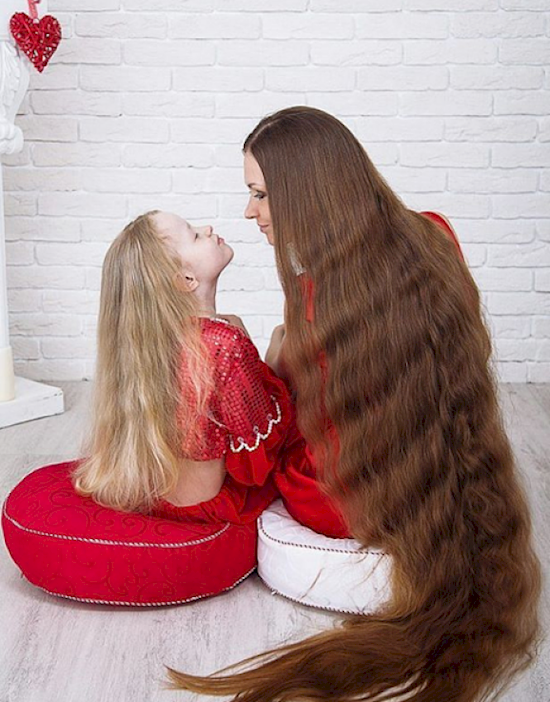 How does she brush that much hair? Her patience must be very high! With the purple dress she’s wearing here, she definitely reminds me of Rapunzel. Look at that hair flowing. Her goal is to have her hair touch her toes. She’s pretty close to it! Look at how her hair bounces when she’s running. She looks like she is in a shampoo commercial. 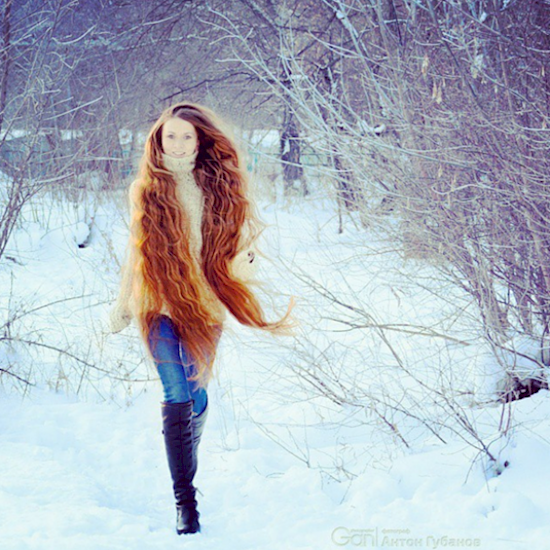 Her hair is so beautiful and so long! What do you think about it? Comment to let us know!